Jonathan Schertzer, right, and Kevin Foley in the Schertzer lab at McMaster University. McMaster researchers have found that gut bacteria, modified by diet, plays a role in elevated blood glucose, which is the primary indicator of Type 2 diabetes. Based on research in mice, the data showed that while an obesity-causing diet altered gut bacteria within days, it took more than a month for these new gut bacteria to change blood glucose. The findings were published today in the journal Nature Communications. 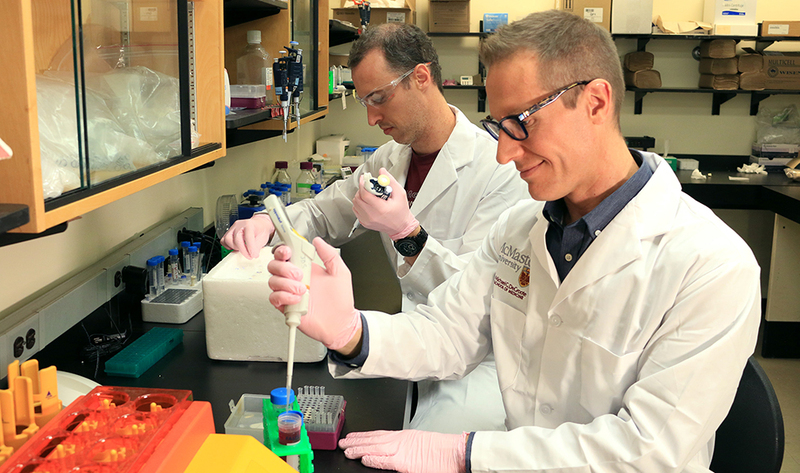 “We were interested in how the microbiota, which is the bacteria that mostly lives in the gut, changes blood glucose because it is a key factor in health,” said Kevin Foley, first author and a postdoctoral fellow in the Schertzer lab at McMaster. The researchers spent more than five years studying the direct effect and timing of impact of an obesity-causing low-fibre, high-fat diet on the gut bacteria and blood glucose levels. The team found that feeding mice this type of diet for one day changed the type of gut bacteria. Despite this rapid change, testing these bacteria in germ-free mice showed that these bacteria only elevated blood glucose after 45 days or more. There are 11 million Canadians living with diabetes or prediabetes, according to Diabetes Canada. Approximately 90 per cent of people with diabetes have Type 2 diabetes. While it more often develops in adults, children can also be affected. “The findings make sense to us, as people can develop obesity or have weight problems for a very long time before diabetes onset,” said Jonathan Schertzer, senior author of the paper, associate professor of biochemistry and biomedical sciences at McMaster, and the Canada Research Chair in Metabolic Inflammation. The research was led by McMaster in collaboration with Soumaya Zlitni from Stanford University. McMaster researchers were Foley, Schertzer, Emmanuel Denou, Brittany Duggan, Rebecca Chan and Jennifer Stearns. 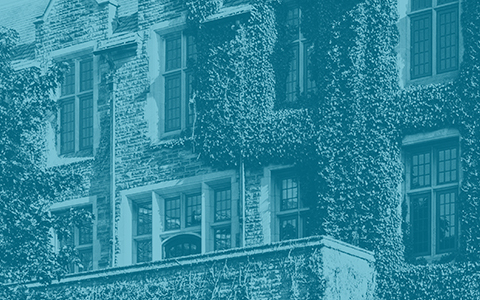 The Schertzer lab is affiliated with McMaster’s Farncombe Family Digestive Health Research Institute, and the Centre for Metabolism, Obesity and Diabetes Research (MODR) at McMaster. Funding for the research came from the Canadian Institutes of Health Research (CIHR).